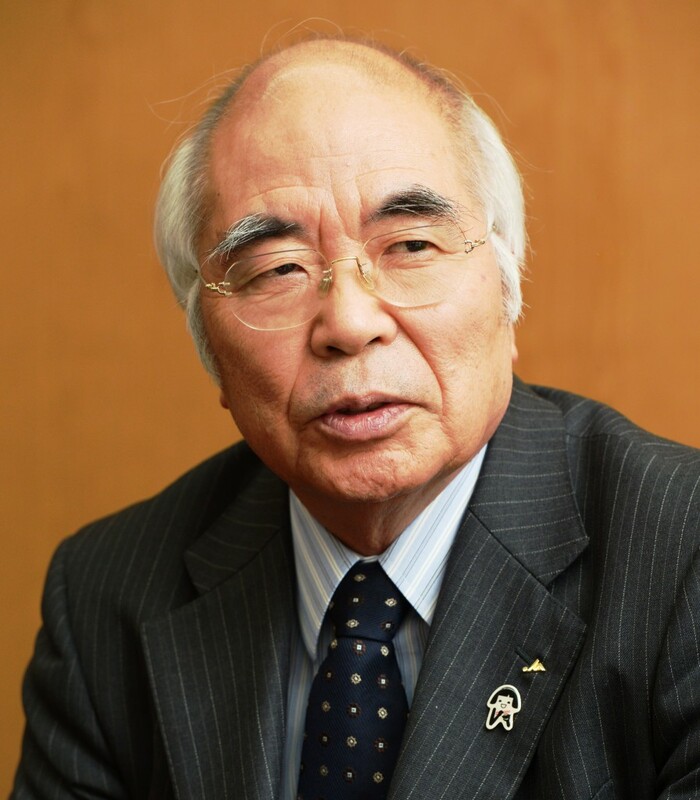 President Akria Banzai of the Central Union of Agricultural Co-operatives (JA-Zenchu), said in an interview with The Japan Agricultural News he “felt it was necessary to make some kind of a judgement as a leader which accepted an unprecedented transformation,” admitting that he decided to resign after he agreed to the government’s outline of agricultural co-ops reform. He asked his successor to conduct self-reform based on the unity of people, which is the origin of co-operatives. Q. Can you tell us again why you decided to resign? A. I started thinking about it around mid-February, after I accepted the outline of agricultural co-ops reform. I thought one stage came to an end when the Cabinet approved a bill to revise the Agricultural Co-operative Society Law. We have been demanding that the central union’s authority under the law be maintained, and argued that our auditing system has played a major role in preventing bankruptcy of primary JAs. But under the bill, JA-Zenchu will be turned into a general incorporated association and its auditing system will be reformed as well. I have made numbers of judgements amid strong pressure from the government’s Council for Regulatory Reform and threats for the organization’s survival. Q. How do you want the JA group to tackle self-reform? A. JA-Zenchu began discussing agenda for the JA group’s national convention scheduled in October, based on its self-reform plan compiled in November last year. I hope the new president will firmly conduct self-reform and create a direction which will be appreciated by primary JAs and their members. When I met Prime Minister Shinzo Abe on April 7, I stressed the importance of co-operative organizations. Co-operatives are based on mutual aid and bonds among members. We have to explain such characteristics to people outside the organizations and gain their understanding. It is also important to foster personnel who have passion for co-operatives strong enough to express to the outside world. I want the new president to overcome challenges by closely uniting the power of each member. Q. Some say that farm co-ops’ harvest payments made to rice farmers before the actual selling of rice are the cause of low rice prices. A. Our view is that producing rice based on market demands is the fundamental way to improve rice prices. The government’s new Basic Plan for Food, Agriculture and Rural Areas also calls for shifting production of rice for staple food to rice for livestock feed. It is important that this policy is actually implemented. Rice is truly the nation’s mainstay crop. The government should definitely protect it in the negotiations for the Trans-Pacific Partnership free-trade talks. This entry was posted in Cooperatives, Food & Agriculture, Trade Talks and tagged Interviews. Bookmark the permalink.